Your home needs to be baby proofed for puppy safety. Like babies, puppies are curious, energetic and love to eat things and put things in their mouths. Having safety measures in place before you bring puppy home will lessen the risk of danger. 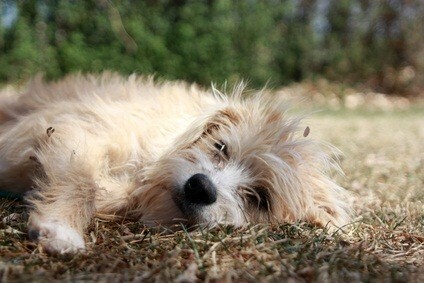 Puppies and also older poodles need a home that is safe and stressfree. Standard, miniature and toy poodle care and safety is the same for all 3 sizes, whether puppies or adults. Make sure electric cords aren't dangling (if puppies chew on them they can be shocked), there are no breakables she can knock over, and the trash can is covered and she can't get into it. Taking care of a puppy is full time work. Keep cleaning products locked away, medicines secured in cabinets, toilet lids down, and plants secured so they can't be ingested (which may be poisonous to her). Put the toilet browl brush inside a cabinet. Keep perfumes, deodorants, small objects, onions (which can be poisonous to a poodle), meat bones and any other item they could put in their mouths and choke on far out of their reach. As for dogs and chocolate, don't feed your poodle chocolate. It's not healthy for your dog, and could be poisonous to his system. Laundry chutes should be kept shut while your new puppy gets used to your house, and fireplaces with real logs should be blocked off from energetic and inquisitive pups. Of course a puppy should never be left unattended around a fire in a fireplace. Make sure there are either gates in front of stairs or doors closed that lead to stairs as you pup could fall down them. Keep doors that open to second floor balconies closed so your pup can't wonder out on them and fall. Keep spaces where your pup could squeeze through and not be able to get back out blocked with baby gates or other means. For example, are there spaces between appliances in your kitchen where she could wriggle in then get stuck? You can use your own infant baby gate or purchase one from a pet store. Some gates you can step over, others open and close. Be sure to buy a gate that your grown poodle can't jump over if you plan to keep him out of certain areas when he's grown. And, if the gate has gaps in it, make sure it's not wide enough for your puppy to get his head caught between. By keeping puppy safety first and foremost in your mind when your puppy is home, it ensures a lifetime of respect and love for your poodle, who will return that love and respect to you. 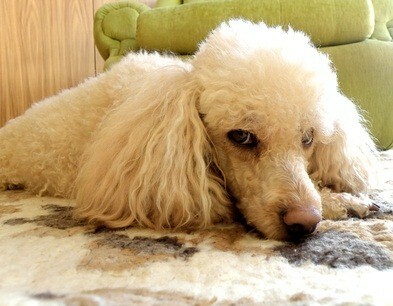 Poodles are fascinating animals, almost humanlike at times. 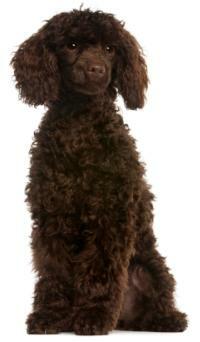 Learn all about poodles and what makes them who they are. Find out the colors they come in, the facts about them and their history. 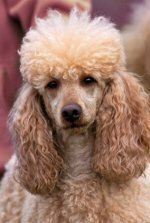 If you want to adopt poodles, we have information on how to rescue standard poodle, toys and miniatures with information on rescue shelters across the United States. Rescue a poodle today! If you're looking for a poodle puppy but aren't sure if you'll have the time, money or patience to train him, older poodles offer the same love, loyalty and companionship that puppies do.